My friend Andrea and I met in college. We were both music education majors and currently teach on opposite sides of the state (Pennsylvania). 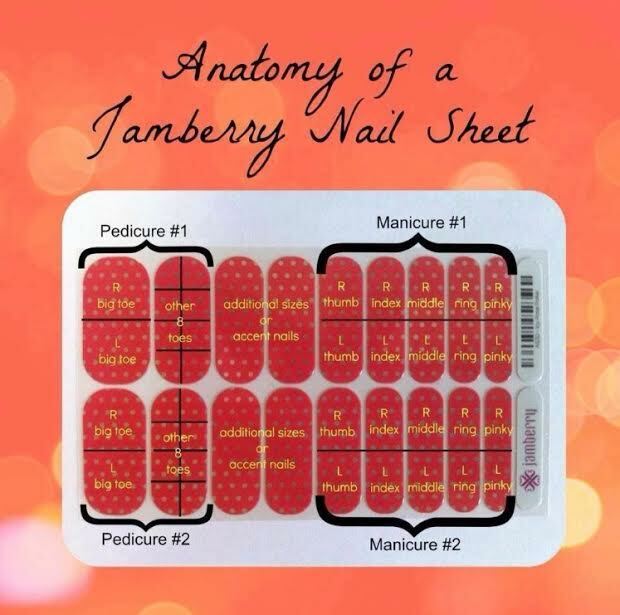 She has become a Jamberry Nails Consultant and has been raving about how great her nails look. 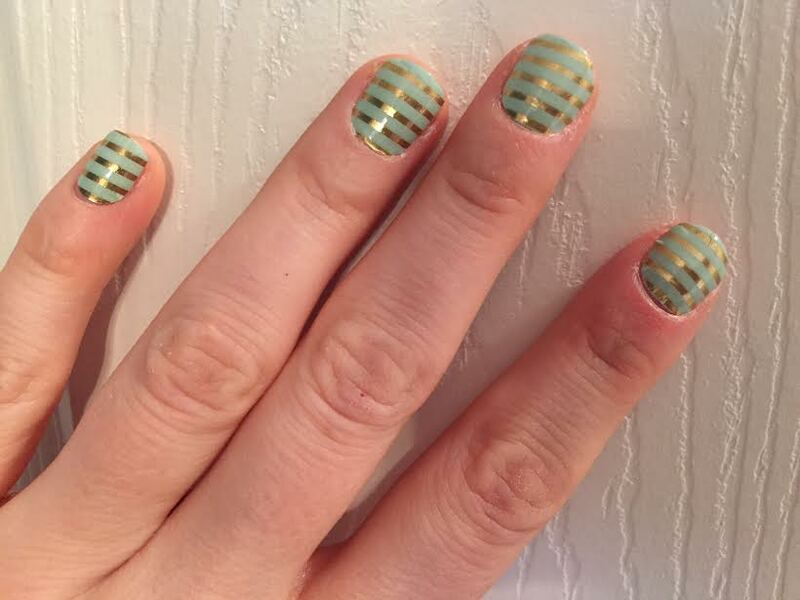 I’ve seen Jamberry online, thought they were really cute, but never considered them for me. I have the worst nails ever. Sometimes they are okay, but then they go in phases of destruction. This winter, they have been ridiculously weak and peeling like crazy. I was really frustrated with the peeling. I take my vitamins, started taking iron and biotin and nothing was helping. So when Andrea asked if I wanted to try them, I told her I didn’t think they would even stick to my nails! I was sick of constantly painting a strengthening clear coat over them every 2-3 days due to the peeling. She told me to try them and thought they would still stay on. PS I hate painting my nails. They look okay, you try not to touch the bed sheets as you lay with your hands on top and then you wake up the next morning to smudges or bubbles. The worst. So she sent me a trial pack. I watched the YouTube videos and put them on both my nails and toes. The verdict? They stayed! I kept them on my toes for a full month! My pointer fingers started to lift after 4+ days, so Andrea recommended the “plastic baggie” technique and it has really helped. Since I play instruments all day long, my pointer fingers are the first to peel at the tips but I can usually trim the jams down and re-plastic baggie them and they are good. My nails are slowly growing the peeling tips out. Some continue to peel, but the jams help them from getting worse. The jams also keep them from catching on everything. I guess I just need to be extra careful and get the weak part to grow out. 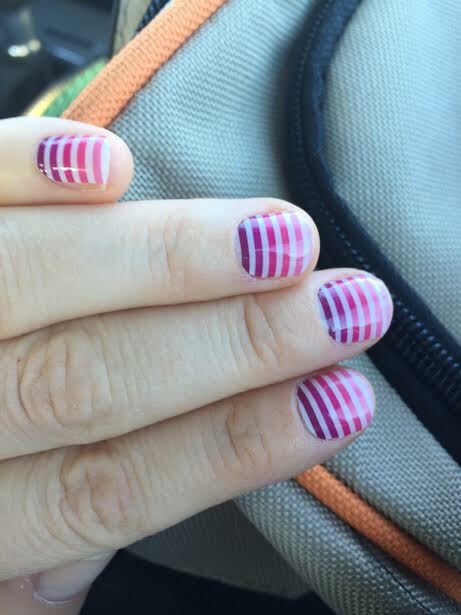 Second attempt and I was so much better at putting them on! The metallics are even easier to put on. These stayed on for a full two weeks. I wanted something pink and for the spring! Current nails. My favorite design so far! 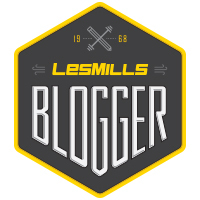 ** (wrote the beginning of my post a week ago and this section today) I have found what works the best… making sure to use a jam that is slightly smaller than your actual nail. It shouldn’t actually make it to the exact side of each nail. I was using ones too big, especially for my pointer finger. By using ones just slightly too small, it keeps them smooth. I’m still using the baggie technique as well. 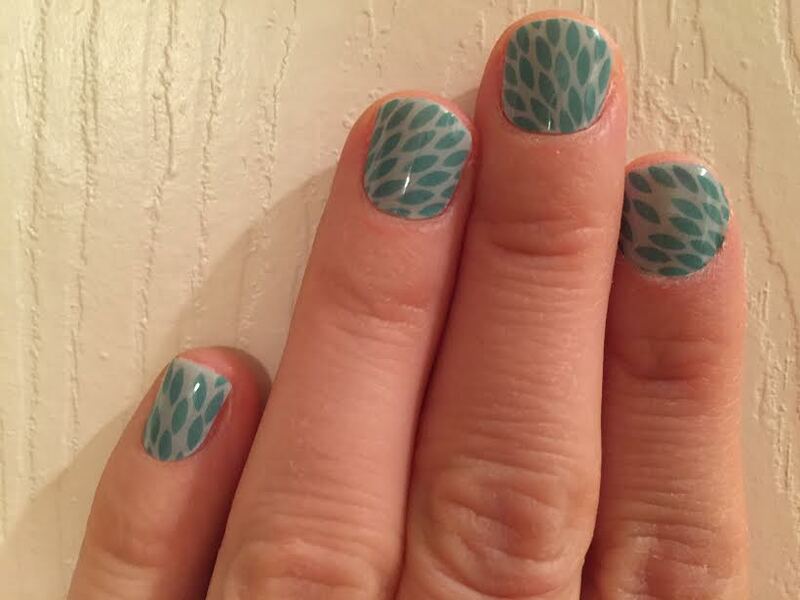 If the tips of my nails start to peel (usually a little after one week) I just trim the jam down. Even if the tip of my actual nail is showing, it is hardly noticeable. This keeps them looking fresh for 2 weeks! Great way to apply them. Want to try them for free? Contact my friend Andrea and she will get you hooked up. I am currently hosting an “online party” during the month of March (ends this Saturday the 28th). 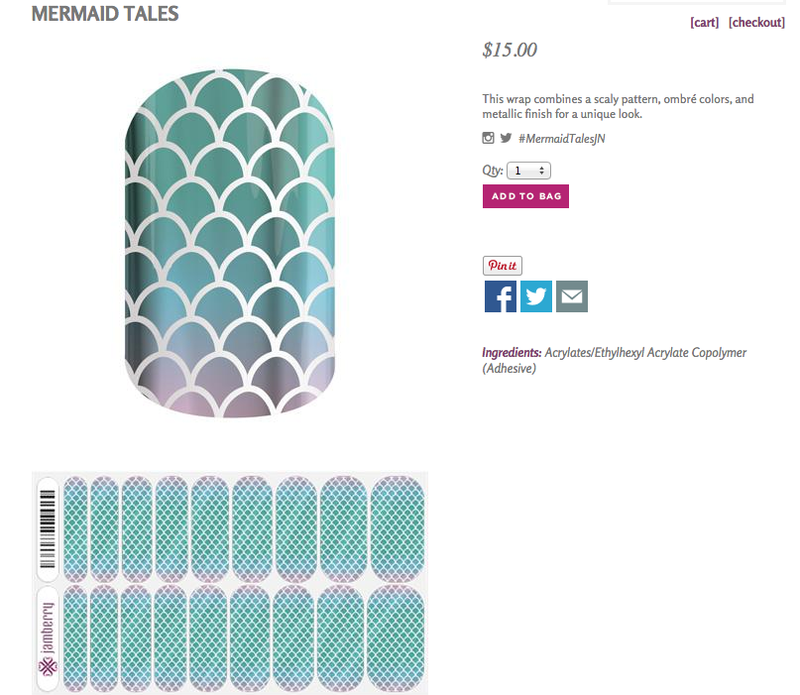 Order some spring nails! New spring catalog just came out!